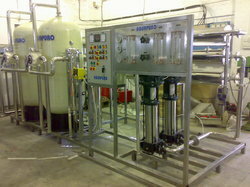 Pioneers in the industry, we offer desalination plant and desalination equipment from India. Desalination Plant produces high-quality drinking water from seawater. This type of plant has the capability of producing up to 25 million gallons per day of drinking water to industry. Seawater fed to the plant is treated through a rigorous process and finally freshwater is separated from the seawater using reverse osmosis. 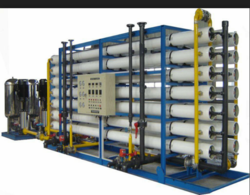 Today, Desalination plants have been working on a number of technologies such as desalination, reverse osmosis, distillation, electrodialysis and vacuum freezing.